State government officials and the regional Bishop inaugurate this newest Narconon residential center outside of popular Cancun, Mexico. Blessed by the local Bishop and welcomed by Quintana Roo and city officials, Narconon Cancun residential drug rehabilitation center held its Grand Opening ceremony before a group of 90 friends on the last day of November, 2013. 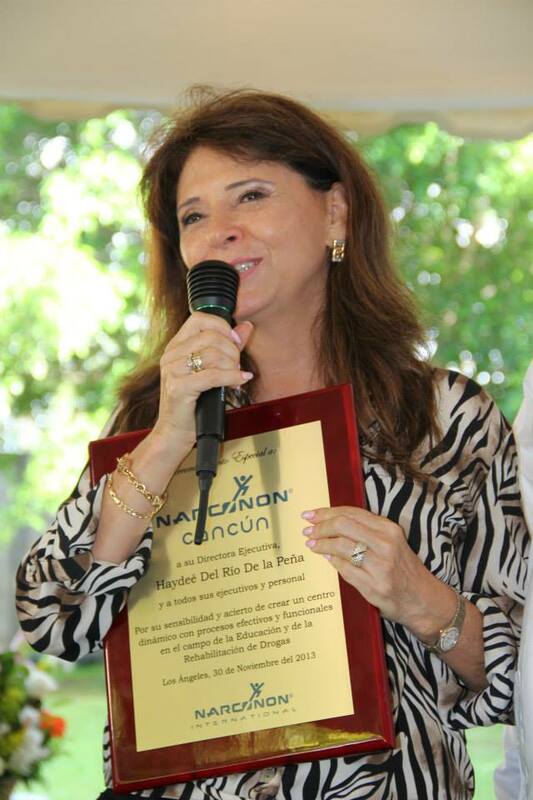 Mrs. Haydee Colin, the founder of the center, expressed both tears and excitement as she spoke before the crowd, thanking her family and Narconon International (from Los Angeles, California) for their support in the long preparations to create this elegant new facility in Bonfil, Colonia Doctores, 15 minutes outside Cancun. Quintana Roo's Bishop Pedro Pablo Elizondo opened the ceremony, blessing the gathering and the center for its future humanitarian work. 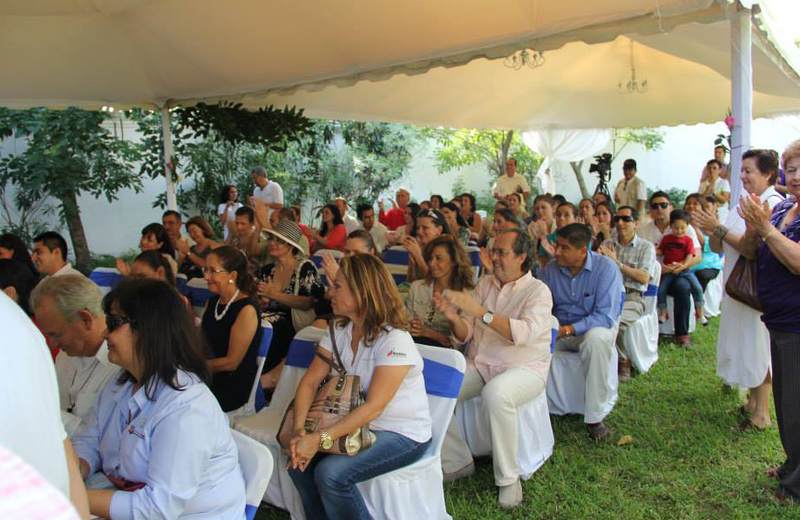 Local authorities attending and/or speaking included Mrs. Adriana Teisseir, Quintana Roo Under Secretary of Social Development; Dr. Sonia Elena Galvez, Health Department Coordinator of Innovation and Quality; the local Deputy Ludivina Menchaca; and Mr. Jorge Acevedo, Quintana Roo Director of Radio and Television. Attending from Narconon International, administrative headquarters of the worldwide drug rehab and education program, Jose De Carpio, Narconon Consultant for Latin America, warmly congratulated Mrs. Colin for her courage and social responsibility in deciding both to open a drug rehab center and to adopt the Narconon drug-free life skills program. "Narconon uses humane, natural, proven methodology to help the majority of its applicants attain stable drug-free lives," he said. Dr. Anna Grace Tagliaferro, Medical Director of Narconon International, spoke about the educational Narconon program and presented Mrs. Colin and her staff with a Plaque of Special Recognition, commenting on the beauty and elegance of the new 20-bed facility. Omar Cardona Montemayor, Director of Narconon Latin America from Mexico, D.F., also greeted the audience and helped Mrs. Colin take her guests through a guided tour. Mrs. Colin said that after carefully reviewing different drug rehabilitation models, she selected the drug-free life skills Narconon program, based on the research of American humanitarian L. Ron Hubbard. 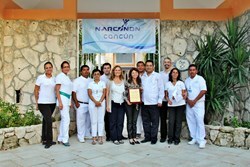 Narconon International worked with Colin to train staff, both at the Cancun center and elsewhere. Despite the ongoing battles between Mexican drug cartels amongst themselves and with government police, resulting in tens of thousands of deaths nationwide, Cancun, although suffering sporadic local drug crime and violence, has continued to be an internationally popular vacation destination. The U.S. State Department travel advisory website has warned visitors away from northern states and others such as Sinaloa on the west coast, but encourages visitors to "stay within the well-known tourist areas," which includes Cancun. Mrs. Colin says that Narconon Cancun will dedicate itself to fully rehabilitating drug addicts locally and from across the nation, as well as those who may wish to come from other countries. For more information on Narconon Cancun, please call (800) 210-3060 | 323-962-2404.